The Best Man Speech is expected to be humorous. 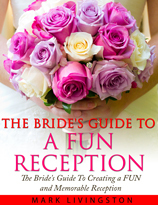 In fact it’s usually designed – and even expected – to slightly embarrass the groom in a friendly and good natured way. So while sentiment might be presumed from the tribute given by the Father of the Bride or Mother of the Bride or Father of the Groom, to some degree the very opposite is anticipated from the Best Man. Usually the Best Man is the groom’s best friend or a close relative. The opening will include how honored he is to be chosen as best man and what the relationship with the groom means to him. The best man will usually launch into an anecdote or two about the groom. Sometimes his jokes or stories are clearly fictitious and are meant to be humorous. Of course, it’s not all about the groom. The best man also acknowledges the bride and compliments the groom on his good fortune – usually with a remark that he still doesn’t know how the groom was so lucky to find such a wonderful woman to marry him. Occasionally, the best man will augment his speech with a slideshow with real or made up photos of the groom or situations the groom was allegedly in. In fact, if you can, this is one of the best ways to add humor to your presentation and make it a memorable tribute to the groom. 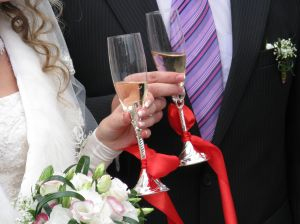 And like all other tributes to the bride and groom your presentation will end with a toast to the newlyweds. When you begin writing your presentation, you’re going to wonder what you should talk about. For example, the groom might have a reputation for always being late. You can include that in your presentation and tie it in with your own duties and responsibilities and how the groom wouldn’t have made it to the altar without your help. Alternatively, this is might be the only time you can remember him ever being on time for an important appointment. 2. A funny story about the bride and groom’s first date or how the groom pursued the bride – and you were afraid he’d be charged with stalking – and begged her for a second chance after making a complete fool of himself on their first date. 3. A short story about an amusing event you and the groom shared either as friends or as colleagues or as school or college buddies. 4. Your observations about why you think the bride and groom are perfect for each other. This could include their personalities, interests, careers, or other qualities that might complement each other in some unusual way. 5. What changes you have noticed about the groom since he met his bride. For example, he might be more forgetful because his mind is on his bride. Or his normally gloomy face might light up when her name is mentioned or talk about her to the point of driving his friends crazy. Or he might be more fashionable in his choice of clothing or have a more stylish haircut to impress her. 6. What qualities the groom has that make him such a wonderful “catch” and why the bride is so lucky to have him as her husband. 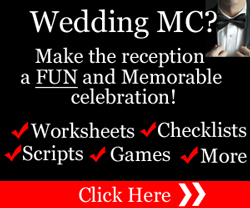 You’re expected to tell jokes and be funny as you pay tribute to the groom and his new wife. But there are limits to what you should say. Revealing things that are private about the groom’s life might seem funny but can be embarrassing. Your best sources for jokes are those from personal experience and those that are included in speech samples. Chances are you know the groom very well. And it’s very likely that you and the groom have been in humorous situations together. Think back on the times you’ve shared together and note down anything that was funny. Speech samples are also a wonderful source of one-liners and jokes. Choose those that are appropriate and that apply to the groom. Or modify them to suit the circumstances. Another source for Best Man Jokes is to make up situations. This is particularly effective if you’re doing a slide show. You can use baby photos of the groom. You can use other photos – allegedly of the groom but clearly not of him. Or you can “modify” photos to suit your presentation. Creative Best Men have used slide shows very effectively. Just make sure the projection equipment is all set up and works properly or your whole presentation could be ruined. If you have no background information to call upon then ask close friends and family for humorous situations you can talk about. Acknowledge who you got the information from. 1. Avoid drinking before your presentation. You’ll need a clear head so you can focus on your delivery. 2. Make sure you include the bride in your tribute. Your speech isn’t all about the groom – it’s about the couple. Leaving the bride out of your tribute would be a major breach of etiquette. Your best man speech should be practiced well before the reception. If possible have someone critique it for you to make sure it has rhythm and the humor isn’t offensive. 4. Avoid reading from your notes. The more you practice the more likely your speech will sound natural and unrehearsed. By all means have your notes with you but use them as reminders not as the cornerstone of your delivery. 5. Use sound judgement when making wedding jokes and using humor. It might seem funny to reveal confidences or past relationships or the groom’s indiscretions but it’s embarrassing to the bride and groom and their families. There is a certain rhythm and tempo to jokes and humor. Practice to ensure the jokes or humor don’t fall flat. 6. Sometimes the Best Man is also the Wedding MC in which case you’ll have to prepare MC Speeches as well. If you’re still wondering how to get started then Best Man Speech Templates and Examples is the way to go. They make your writing time faster and easier. You’ll get lots of great ideas – very likely ideas you never even thought of. These templates also include jokes, one-liners, quotes, and toasts – the very thing you need to make your tribute a rousing success. You’ll immediately see how to word your tribute so it’s funny but doesn’t offend anyone. 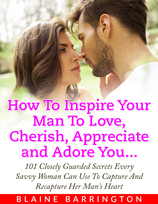 You’ll also get a section on how to be more confident when you make your Best Man Speech. There’s nothing worse than being so nervous that you’re a complete wreck and your tribute is an embarrassing flop – and that’s the last thing you want to happen. 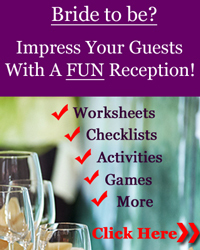 Instead, with samples and public speaking tips as your guide you’ll discover ways to confidently stand before the guests – many of whom will be strangers – with complete self-assurance. 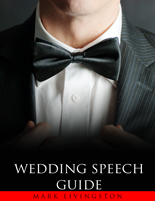 Find out more about Best Man Speech Templates and Examples (the foregoing link will take you to a premier supplier of wedding speech templates including the Best Man Speech, for which I may receive compensation at no extra cost to you). May your presentation and tribute be a rousing success – even a standing ovation!